Banjor Community is a wonderful area. 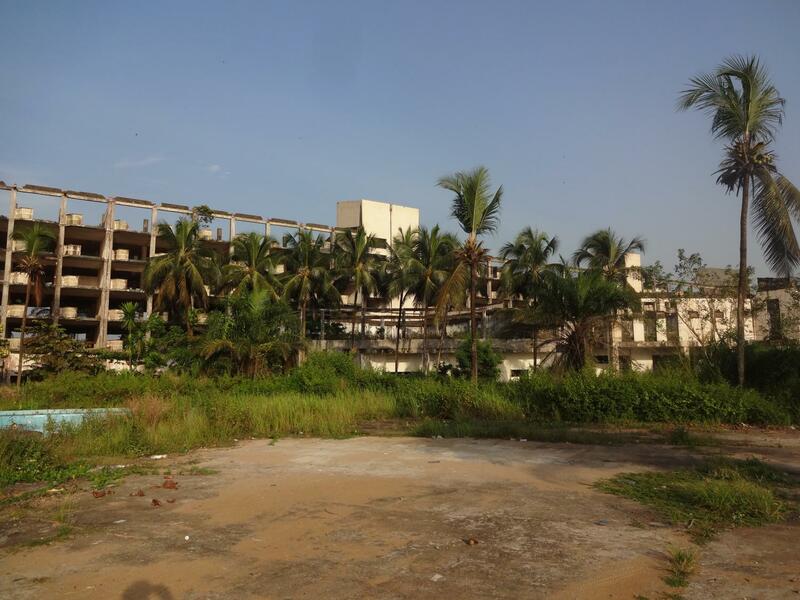 It has friendly people, beautiful beaches, a gym, a golf course, the ruins of what was once West Africa’s largest hotel, over 160 schools, and now, thanks to Joseph Pambu, a computer lab and training program. The one thing this community lacks is electricity. Despite its location only a few miles from Liberian Electricity Corporation’s (LEC) headquarters, District #17, where Banjor Community is located in rural Montserrado, has not had electricity for 20 years. The copper wiring was stolen during the war, and Liberia’s government has not yet gotten electricity back to this area. I had the pleasure of meeting with Joseph S. Pambu, more commonly known as “Wireless,” recently. Joseph is the founder of Wireless Technology Lab located on Hotel Africa Road, in the Banjor Community, District #17. District #17 is located in rural Montserrado County, with a population of 23,000 people and 166 schools, but only 6 of those schools offer any sort of computer training. Given its lack of electricity, District #17 relies on a few commercial generators. Joseph therefore uses his hub of computers and two generators to teach young people computer literacy in our digital age. Wireless Technology Lab is run by several talented and motivated individuals, including Thomas Yelegon, the Director of Training; Mariama Kamara, the Head of Administration; and of course, Joseph “Wireless” himself, the organization’s founder. Joseph was born in Liberia in 1986 and grew up with the experience of Liberia’s First Civil War but later moved to Sierra Leone in 2001 to avoid being captured as a child soldier during Liberia’s Second Civil War. He did not come back to Liberia until 2013. 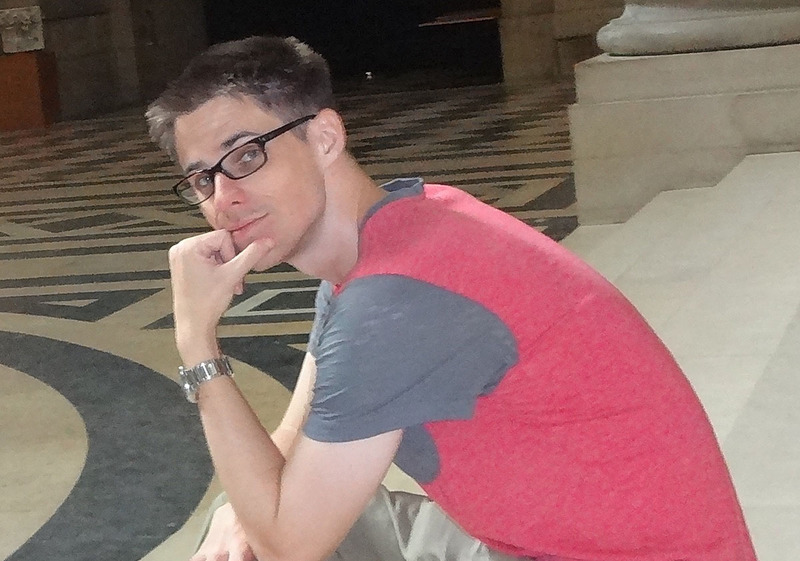 Joseph was introduced to computers by his uncle as a 13-year-old in 1999 (tech bubble time). He was fascinated by the machine and always asked his father for a laptop for Christmas. After getting fed up waiting for one, he worked odd jobs until he could afford to buy his own through an installment plan. 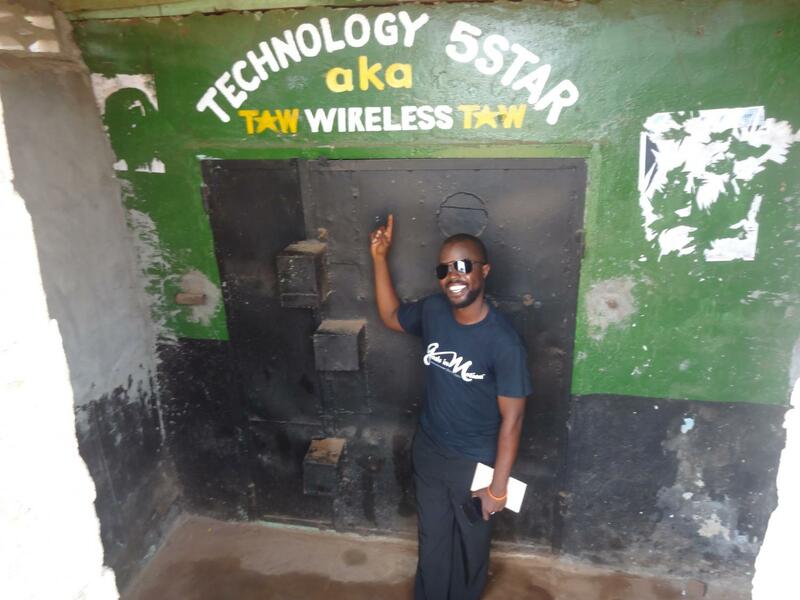 While in Sierra Leone, Joseph took on the nickname “Wireless” in 2007 after developing the Technology 5-Star (aka Wireless) Concept. Joseph calls himself lucky for never having had to work in a corporate environment. A born entrepreneur, Wireless sees problems in the world and attempts to fix them. In 2014, Joseph registered and established Technology 5-Star (Wireless) as an Internet café, several months before Ebola hit. Many businesses in the area had to shut down due to the high number cases of Ebola in the Banjor Community. Technology 5-Star became a victim of this unfortunate business environment. 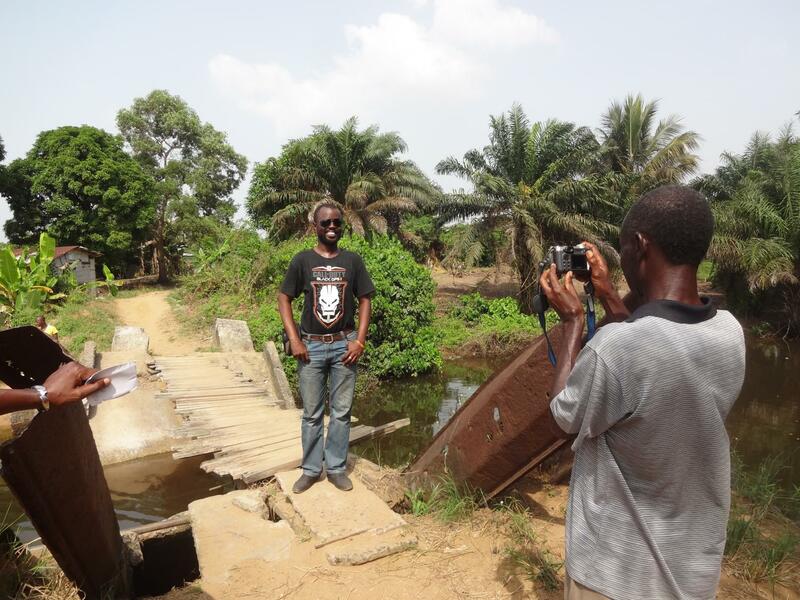 After Ebola caused him to lose his business, Joseph considered entering the corporate world in IT, but he saw the need to establish computer awareness and literacy training. He had to find a way to make it work. 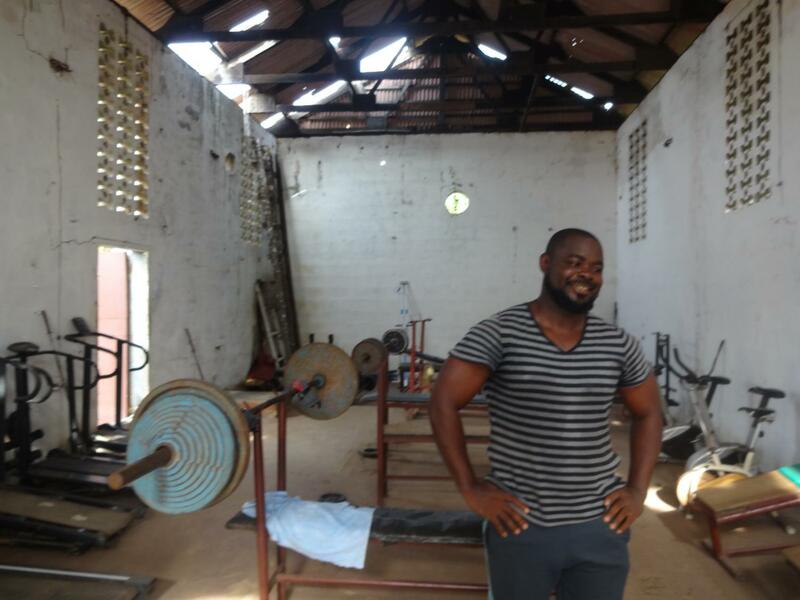 In 2015, Joseph took advantage of the Business Plan Competition by the Liberia IT Revolution Project and became one of the nine winners. He entered the competition with a start-up company he dubbed Wireless Technology Lab. 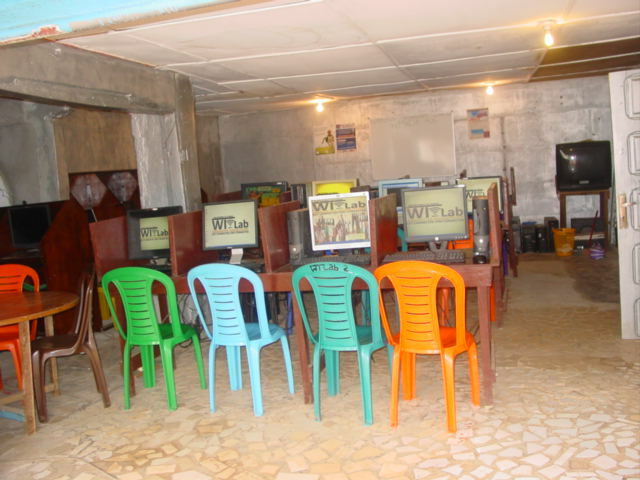 Wireless Technology Lab was registered and established as a computer awareness and literacy training lab/e-learning center in rural Montserrado County. At the end of 2016, Joseph partnered with the owner of a struggling Islamic library to create the new Wireless Technology Lab 2.0 (WIMADE Hub). Wireless Technology Lab 2.0 (WIMADE Hub) is a partnership that promises to develop Liberia’s first rural ICT hub, which includes computer awareness and literacy training, a research library, and other ICT related provisions. WT Lab offers free computer awareness campaigns, where it shows popular TED talks as well as speeches by young web app developers. 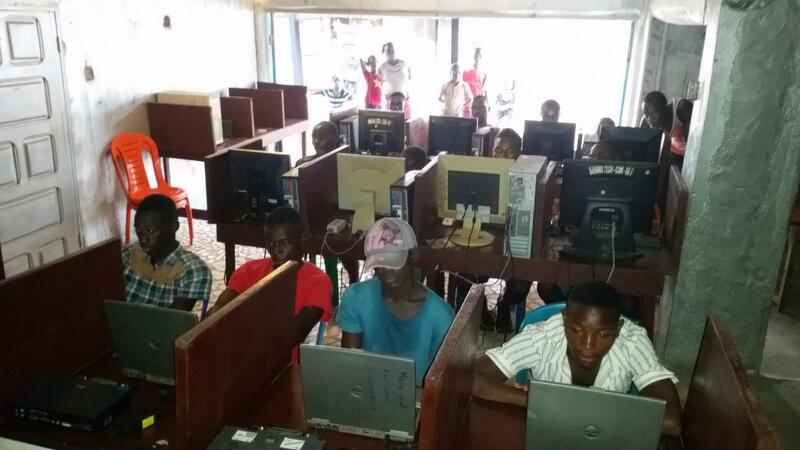 Young Liberians can see that computers can offer them a future too. They are able to find role models besides soccer players and musicians. WT Lab also offers computer classes for those interested in learning new skills. The facility boasts dozens of computers, a powerful generator, numerous books on computers, and, of course, computer trainings. Joseph, never one to rest on his laurels, has a plan to build a research area with print books, since there is currently no library in all of District #17. Joseph also hopes to set up a movie watching area in the back with a projector. Eventually, Joseph hopes to show foreign language films, so students can become interested in and even learn foreign languages at WT Lab. During my trip to visit Wireless Technology Lab, I was also able to visit the Hotel Africa, once the largest hotel in West Africa. After the wars ended, the entire hotel (including the walls) was looted, but its old grandeur can still be seen even in its dilapidation. 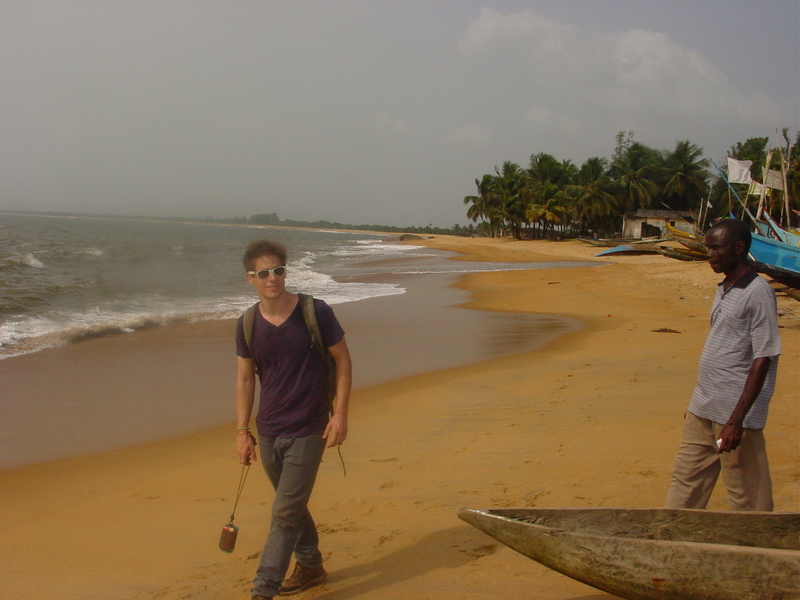 Joseph has hope for Liberia, but he despairs that the emphasis on education is not what it is in Sierra Leone. The people of Sierra Leone see education as a way to improve one’s opportunities in life. 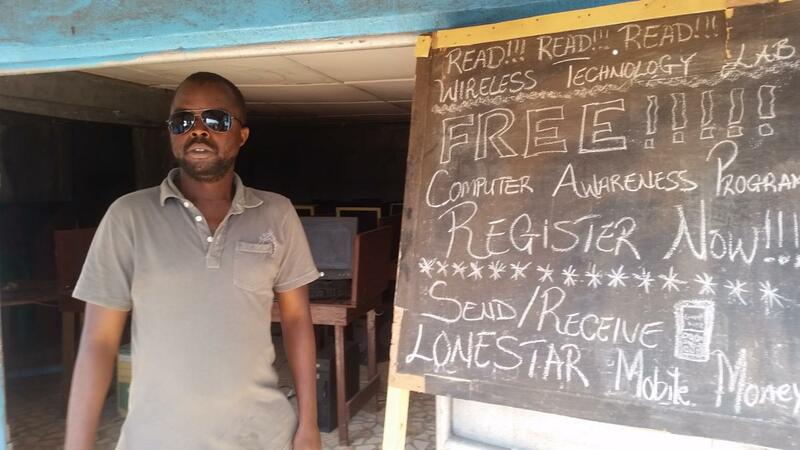 In Liberia, there is less awareness of education at all, let alone computer literacy, matters. The founders of Wireless Technology Lab see technology as a force for connectivity and access to information. This is why Joseph felt compelled to start WT Lab in a rural and marginalized community, and one of those hit hardest by the Ebola epidemic. If the children here have no idea of the opportunities available to them, they will never be motivated to pursue their educations. Through computers, they have access to the outside world, and can thereby know all of the options available if they are willing to venture into them. Joseph hopes to extend his activities into other marginalized environments through a platform he is trying to develop called WIMADE. WIMADE is an acronym for Wireless Information Management to Advance Data Exchange. WIMADE is design to transmit information and stream data. WIMADE provides cheap public Wi-Fi and manages a local search engine from its local server to link schools, businesses, organizations, communities, and people. With access to information and the ability to network and pool resources, who knows what the inhabitants of District #17 can accomplish? I even hear they might be getting electricity in the next year.